For a cable driven speedometer to be accurate, it requires the correct combination of 4 different things - DRIVE GEAR, DRIVEN GEAR, TIRE DIAMETER and REAR END RATIO. 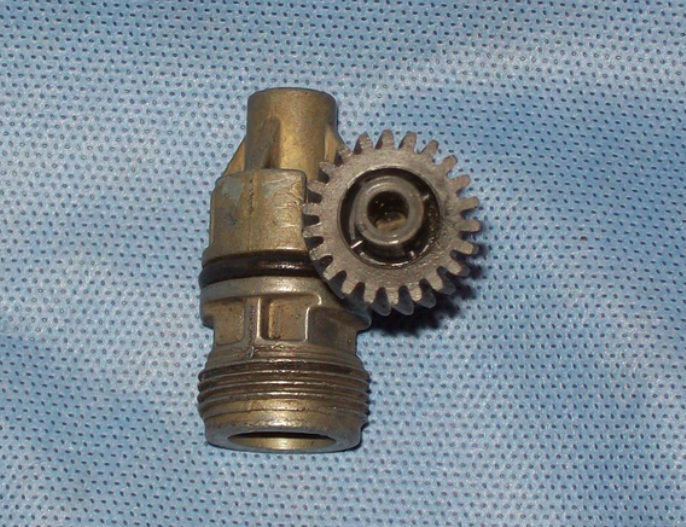 A T5 with a cable style speedometer output has a plastic gear on the output shaft called the DRIVE GEAR. 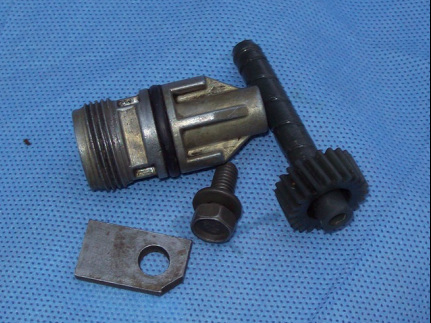 The DRIVE GEAR turns a smaller gear called the DRIVEN GEAR which turns the speedometer cable. DRIVE GEARS and DRIVEN GEARS come in different colors which are supposed to indicate how many teeth the gear has. However, I don't trust the internet charts. This is the correct method for counting the teeth. This method is NOT correct. 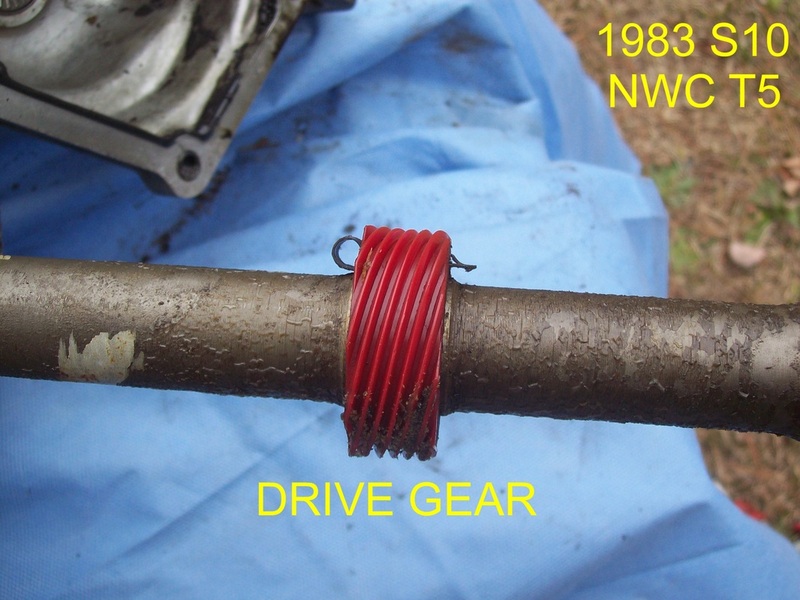 When I rebuild my T5, I want to install the correct DRIVE GEAR so my speedometer will be accurate. 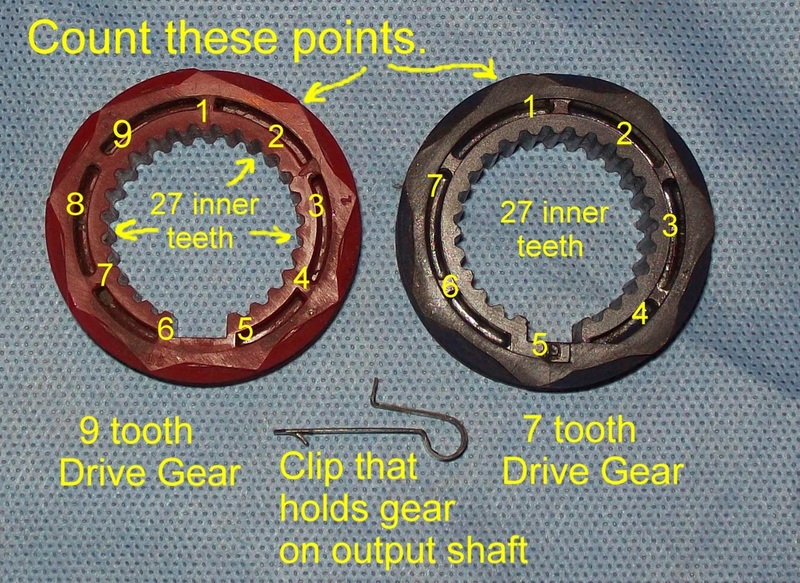 My options include 7, 8 or 9 teeth for the DRIVE GEAR. The easiest and least expensive variable that I can change is the DRIVEN GEAR. My tire size will likely be anywhere between 27" and 29", but not larger. 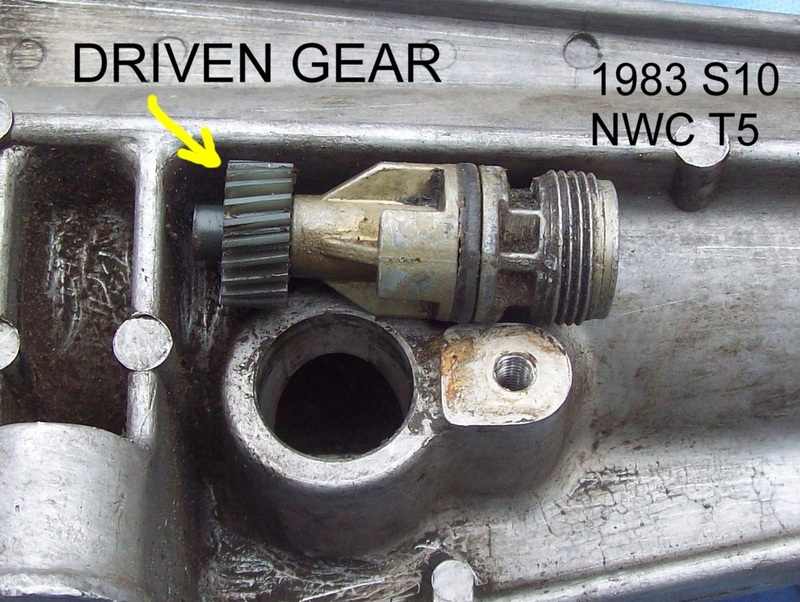 Some Driven Gears are no longer being made. I have a 22 tooth Driven Gear already. 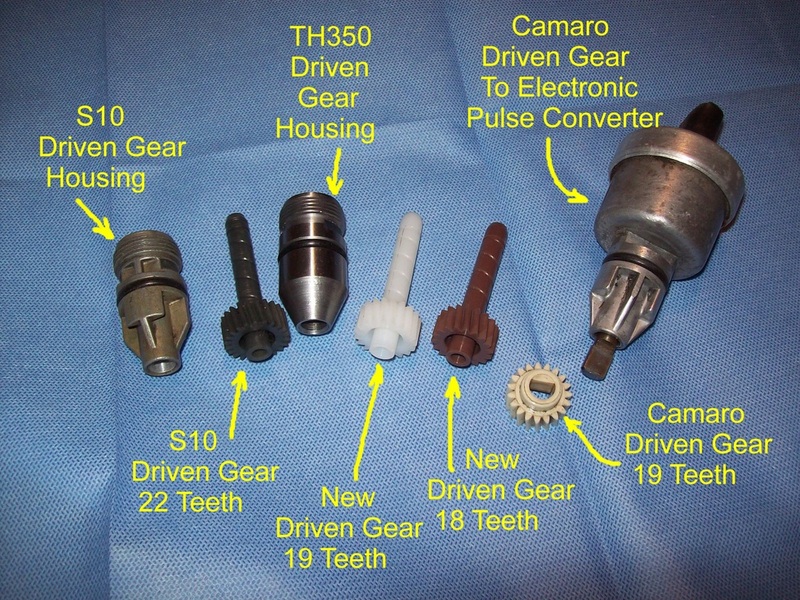 Research tells me that 18, 19, 20, 21 and 22 tooth Driven Gears are available from vendors. 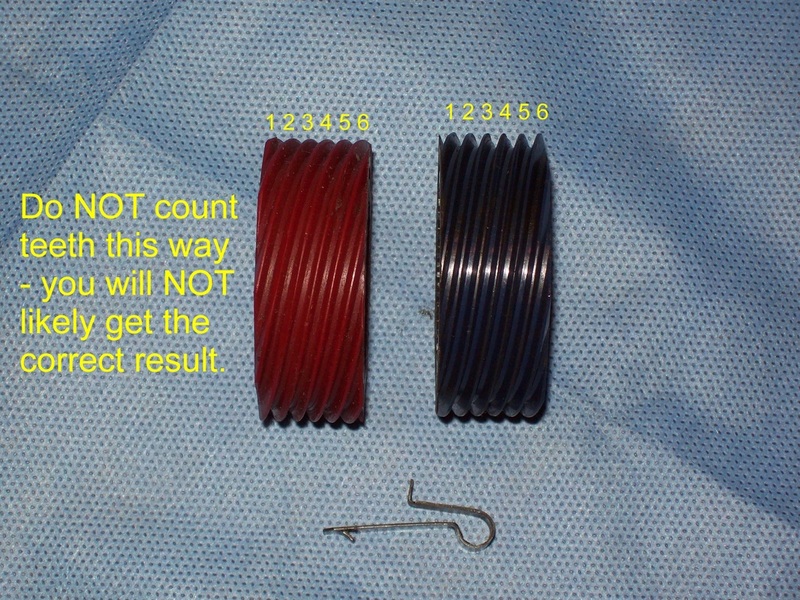 They are the same plastic gears used in a TH350 transmission. Some friends bought a 24 tooth Driven Gear from a transmission shop but general availability may be limited. Here are some brand new Driven Gears I bought to use in my T5. They are made for a TH350 transmission. The TH350 Driven Gear housing "bullet" works perfectly in my S10 housing. 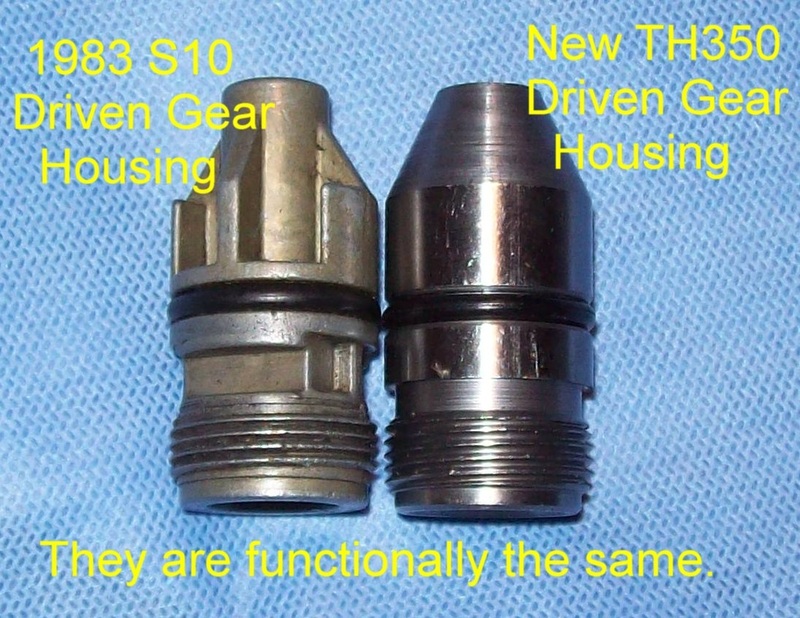 I can use the new TH350 Driven gear housing or my original S10 housing since BOTH will work. This chart shows some possible combinations for my 3.73 rear differential. I have underlined my 6 best options. Here are the options for a 3.42 rear differential.